There were over 200 people at the party where Justin Speights, 20, was killed on New Years day and police have interviewed most of them, said Major Joseph Tripodo of Troop F of the New York State Police, but so far no arrests. The investigation is progressing, but we have not made an arrest as of yet. Speights, a Scotchtown resident and a graduate of Pine Bush High School, was attending a party on Paddock Drive in the Town of Crawford when a fight broke out. Speights was reportedly stabbed in the torso while trying to break up the fight and was pronounced dead less than two hours later, after he was taken to Orange Regional Medical Center. Tripodo said most of the party goers were from the area. When asked about drugs at the party, Tripodo declined to comment. 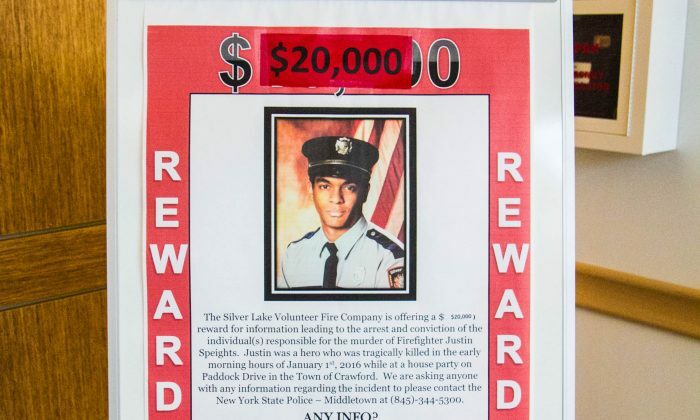 Since Speights’ death, the Silver Lake Fire Department has offered a reward for information leading to an arrest that doubled from $10,000 to $20,000 mid January when the New York State Correctional Officers & Police Benevolent Association donated to the cause. Speights’ death has also led to a new county law that holds property owners responsible for underage drinking on their property. The owners of the house where the New Year’s Eve party was held were away at the time. It was their two college-age daughters who threw the party. The law applies to any adult (18 or older) who knowingly allows a person under 21 to drink on their property, excluding those who have express permission from a parent or the consumption of alcohol is for religious purposes. Police have asked anyone with information about Speights’ death to contact the Bureau of Criminal Investigation at 845-344-5300.